You can contact the team by emailing ecwpetitions@leicester.ac.uk or via our Facebook or Twitter page. 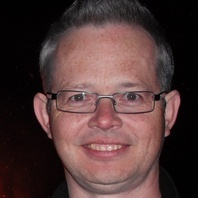 Andrew is Professor at the Centre for English Local History at the University of Leicester. After obtaining his doctorate on the extent of support for parliament in Civil-War Yorkshire at the University of York, he completed two postdoctoral fellowships at the Universities of East Anglia and Birmingham before coming to Leicester in 2006. He is best known for his two monographs ‘Black Tom’: Sir Thomas Fairfax and the English Revolution (Manchester, 2007) and Turncoats and Renegadoes: Changing Sides in the English Civil Wars (Oxford, 2012). He has published four further edited volumes and fifteen articles in academic journals on civil-war topics. He is currently working on his third monograph Widowhood and Bereavement in the English Civil Wars. He is a patron of the Naseby Battlefield Project, and Academic Director of the National Civil War Centre where he was co-curator with Dr Eric Gruber von Arni of the Battle-Scarred exhibition. David’s research expertise lies in the post-conflict culture which emerged after the British Civil Wars. He is particularly well known for his work on the military, cultural and religious issues faced by Charles II’s regime after the Restoration of the monarchy in 1660. David won the Richard L. Greaves Prize in 2010 for his monograph Black Bartholomew’s Day: Preaching, Polemic and Restoration Nonconformity (Manchester, 2007). His articles mapping the experiences of war widows and maimed soldiers include ‘Unnecessary persons? Maimed soldiers and war widows in Essex 1642-1662’ (2001), and ‘Veteran politics in Restoration England, 1660-1670’ (2013). He and Andrew Hopper have recently co-edited Battle-Scarred: Mortality, Medical Care and Military Welfare in the British Civil Wars (Manchester, 2018). David is currently completing A Short History of the English Revolution, for the I. B. Tauris Short History series. Mark grew up in Devon, and worked for some years as an archaeologist in Exeter after leaving school. He was awarded his D.Phil by the University of Oxford in 1992 and is currently Professor of Early Modern History at the University of Southampton. He has written many books and articles on popular religion and politics in Tudor and Stuart Britain and his particular research interests include the English Civil War; the history of witchcraft; the history of the early modern town and the history of the South-West. His most recent monographs include Soldiers and Strangers: An Ethnic History of the English War (Yale, 2005), The Black Legend of Prince Rupert’s Dog: Witchcraft and Propaganda during the English Civil War (Exeter, 2011), and Water in the City: The Aqueducts and Underground Passages of Exeter (Exeter, 2014). 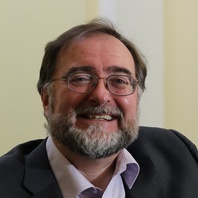 Mark is a former member of the Council of the Royal Historical Society and sits on the editorial advisory panel of BBC History Magazine; he has also appeared on many TV and radio programmes. Lloyd is Reader in Early Modern History at Cardiff University. His research has focused particularly on early modern Wales, gentry culture in the sixteenth and seventeenth centuries, and the nature of Civil War royalism. He has published two books, The Politics of the Principality: Wales, c.1603-42 (Cardiff, 2007) and Family and Society in Early Stuart Glamorgan (Cardiff, 2007), and numerous chapters and articles. These publications have considered topics including royalist sedition during the Interregnum, the image of Oxford in the parliamentarian press during the First Civil War, and the circulation of news and information in seventeenth-century Wales. He is currently writing a monograph about a Jacobean duel and worrying about the fitness of Welsh rugby players. Ismini joined the Centre for English Local History at the University of Leicester as a postdoctoral research fellow in July 2017. She studied for her PhD at the University of Cambridge, where she completed a thesis in 2014 examining the career of Philip Skippon, commander of the infantry in the New Model Army. 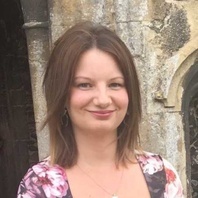 Since then, she has worked as a postdoctoral research associate at the University of Exeter on a Wellcome Trust-funded project examining early modern medical practitioners, during which she researched the careers of practitioners in Civil War armies. Ismini has published an edited collection, New Approaches to the Military History of the English Civil War (Solihull, 2016), and is currently working on a monograph on Skippon. She has also published articles and contributed chapters to collections on various military and medical topics relating to the Civil Wars. 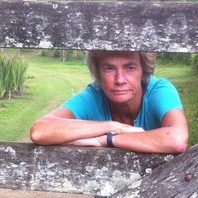 She is a trustee of the Society for Army Historical Research and the Cromwell Association. Away from work, Ismini enjoys running to keep fit, supporting Ipswich Town and English cricket, and other such hopeless causes. 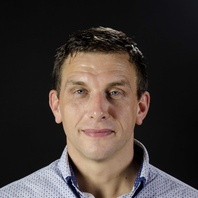 Stewart undertook his PhD funded by the AHRC Midlands3Cities Doctoral Training Partnership at the University of Leicester 2014-18. His thesis examined the experiences of war widows during and after the British Civil Wars, with particular reference to the Midlands. 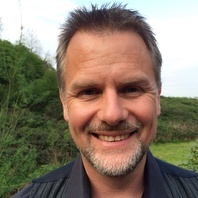 He has published two articles in academic journals: ‘John Leming and the High Court of Chivalry: urban ideas of social exclusivity in early Stuart Colchester‘, The Local Historian, 46 (2016), pp. 116-128; and ‘War widows and revenge in Restoration England’, The Seventeenth Century, 33:2 (2018), pp. 195-217. Katie has recently completed her PhD in the Centre for English Local History at the University of Leicester. Her thesis examined the role of place and landscape in the construction and expression of gentry identity in late medieval Leicestershire. By applying digital methodologies to contemporary sources, the thesis showed that place should be a recognised component of contemporary gentry culture. She has published in the Midland History journal: ‘”It is no walking for thee in the high wey”: Gentry encounters, hierarchy and the Leicestershire landscape in the records of Star Chamber, c.1496-1547′, Midland History, 42, no. 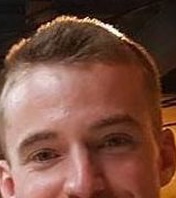 2 (2017), pp. 159-182. Katie is also an experienced public speaker, having given many talks to general and historical interest groups across the midlands since 2014. 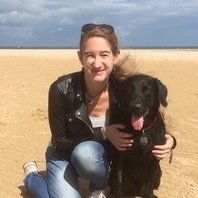 She has been an editorial assistant for the East Midlands History and Heritage magazine since 2015, and a member of the Midland History board as social media editor since 2018. Katie is currently developing her next project on gentry identity and industry in early modern England. After early retirement (from a varied medical career) I returned to my native Derbyshire and bought a quirky house. The latter prompted my new-found interest in Local History, encouraged by reading David Hey. Some seven years later, much of which spent in record offices, I am no nearer to knowing the history of my house! I soon realised that, drowning in thousands of records dating back to the twelfth century, I did not know what I was doing so I enrolled on the Oxford University Diploma in Local History. I then took the MA at Leicester. My dissertation (‘People and society in Hopton 1650-1700’) sparked my interest in this project.